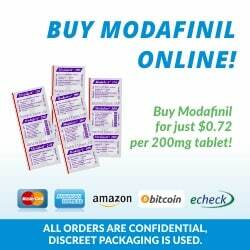 Home / Questions / Best place to buy Modafinil online for Australian? Forum › Category: Modafinil › Best place to buy Modafinil online for Australian? I’ve been using ModafinilCat for over a year with great results and never had a single issue, but they are closing down! They recommend using Afinil Express as a replacement, or DuckDose.com. You guys seem to link to and suggest Afinil, but any thoughts on them versus Duckdose? Afinil Express looks a little cheaper, but I care more about discreet packaging and successful delivery to Australia over anything else. Thanks. Yes it is a real shame Modafinil Cat closed (and also now ModUp), they were a reputable and reliable Modafinil seller! Our default go to sellers are Afinil Express (http://www.afinilexpress.com) and Duck Dose (*Update April 2018* DuckDose has now also closed unfortunately!) and have MANY positive reviews and feedback from our community regarding both these companies, particularly for countries like Australia. Pretty sure Modafinil Cat also own Afinilexpress or are affiliated or some type of relationship. If you go to Reddit and search for ModUP you will see a few complaints about fraudulent CC charges, however it is only a small % and it appears the transactions are for random things like pet food from China, suggesting they or whoever they use for payments was hacked, rather than fraudulent activity by Modup themselves. Still worrying asI have ordered from them many times. UPDATE 13th January 2018: ModUp has now also closed! It’s unfortunate, but we’ve been using Afinil Express to buy Modafinil anyway as they are currently the cheapest once the 20% off coupon is applied. UPDATE 9th April 2018: Duckdose has now *also* officially closed! Another one bites the dust. Again this shows us why it is important to keep up to date on reliable providers, and as above back in February, and still today in April, Afinilexpress are chugging along providing great service and speedy discrete delivery of Modafinil. Hi afinilexpress sell MODALERT, MODVIGIL, WAKLERT, and ARTVIGIL. Which one is the best? Sure, we understand it can be a bit confusing! Very simply, they are the most popular versions of the smart drugs Modafinil and Armodafinil, manufactured by two competing companies Sun Pharma, and HAB Pharma. In a nutshell, Modalert and Modvigil are both brands of Modafinil, with Modalert being the most popular, due to its quality and history of usage. Modvigil is a very close second, in fact most people cannot tell the difference between the two, the only reason we classify Modvigil as #2 is because the manufacturer behind it HAB Pharma is just smaller and not as well established as Sun Pharma who make Modalert. Waklert, and Artvigil, are two popular brands of Armodafinil, which is very similar to Modafinil, but much less commonly used. If you’re a beginner, we definitely recommend starting with a half or quarter dose of the Modafinil brand Modalert by Sun Pharma as the best first experiment. >> What is the difference between Sun Pharma & HAB Pharma? Sun Pharma is by far the most reputable of the two, being one of the biggest pharmaceutical companies in the world. HAB Pharma is smaller, but still has all the industry certifications and recognitions that make it trustworthy to deliver a quality product. For this reason, expect Sun Pharma’s Modalert to cost you about 20-30% more than HAB Pharma’s Modvigil. Is it worth paying the extra amount? It really depends on your personal circumstances, at the end of the day they’re both likely to have the exact same effect on you, so many people opt for the cheaper Modvigil, but also many super users who love Modafinil and consume it regularly are also happy to pay an extra 20-30c per pill for the more ‘mainstream’ brand. >> What is the difference between Modafinil & Armodafinil? Modafinil is by far the most commonly used of the two for people exploring its Nootropics uses, compared to Armodafinil. Simplified, Modafinil is made up of 50% of R-Modafinil (long lasting), and 50% S-Modafinil (short lasting). Armodafinil is made up from 100% R-Modafinil (long lasting). So Modafinil is 50:50 short lasting and long lasting, and comes in pill dosage of 200mg. Armodafinil is only the long lasting component, and usually comes in 150mg dosage. I was on my last pill the day I received an email from Modafinilcat that they were closing down *cry emoji* Their shipping time was long but I always received it and was satisfied. I now use Modapharma and they are a little more expensive than I was paying before but not much, they are legit and solid shipping times.